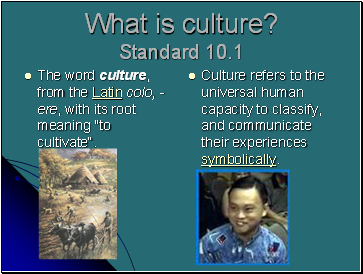 The word culture, from the Latin colo, -ere, with its root meaning "to cultivate“. 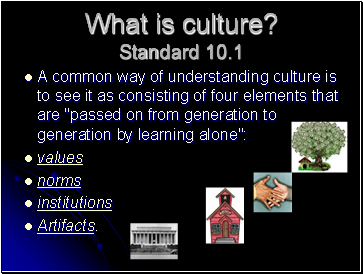 Culture refers to the universal human capacity to classify, and communicate their experiences symbolically. 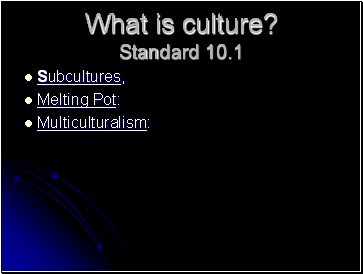 Culture - has been called "the way of life for an entire society." 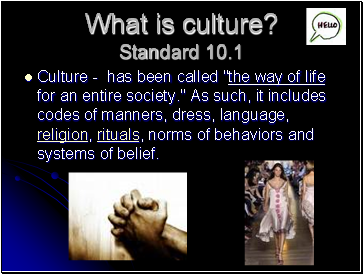 As such, it includes codes of manners, dress, language, religion, rituals, norms of behaviors and systems of belief. Values comprise ideas about what in life seems important. 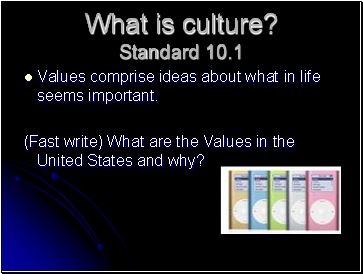 (Fast write) What are the Values in the United States and why? 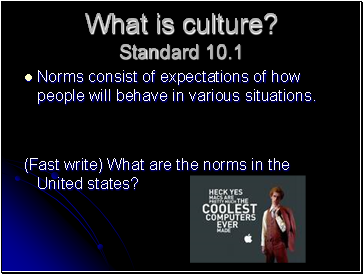 Norms consist of expectations of how people will behave in various situations. (Fast write) What are the norms in the United states? Institutions are the structures of a society within which values and norms are transmitted. 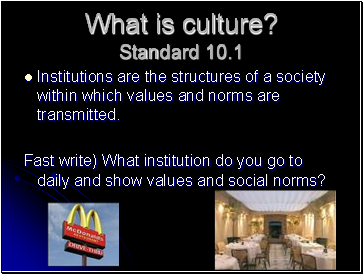 Fast write) What institution do you go to daily and show values and social norms? 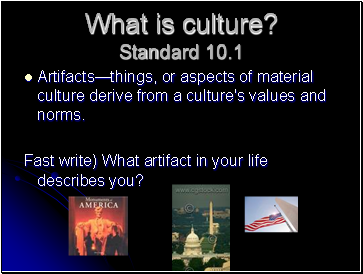 Artifacts—things, or aspects of material culture derive from a culture's values and norms. Fast write) What artifact in your life describes you?